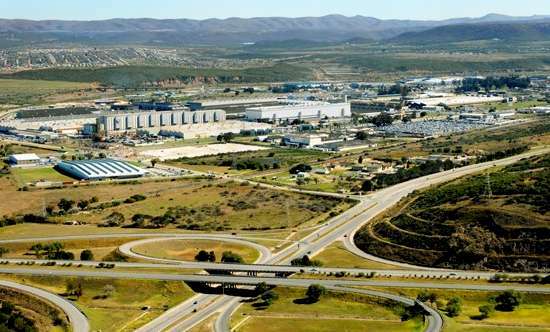 IN another significant step forward towards final agreement on the construction of a R16-billion aluminium smelter in the Coega Industrial Development Zone, a high-level team from giant Canadian company Alcan arrived in Port Elizabeth yesterday. TWO of Italy's top automotive leather companies have opened a R39-million leather plant in the Eastern Cape town of Uitenhage, which forms part of the Nelson Mandela Metro. SA's relations with global economic body "positive"
The top 28 wonders from around the world were announced today by the New7Wonders Foundation in Zurich, Switzerland. The finalists include legendary sites such as the Great Barrier Reef in Australia, the Grand Canyon in the USA and the Amazon in South America. Eastern, Southern Cape have ‘hot‘ property ... THE Eastern and Southern Cape are becoming a haven for the world‘s super-wealthy, according to US publishing and media giant Forbes, which says four of the 10 most expensive homes in Africa are situated in the region. Under these circumstances South Africa could achieve stronger trend growth and more job creation on a sustainable basis. Current estimates of the entire global economy’s economic output stand at $36-trillion, a staggering $11-trillion of which is produced by the US economy. Sub-Saharan Africa is responsible for just $400 billion of the $11 trillion, of which SA has contributed $159 billion. While South Africa may pale in comparison to the US, it is nonetheless the world’s 20th largest economy in terms of purchasing power parity.